SKU: PD-WOL. Categories: Pendants, Spirit Animals. Intelligence, Communication, Loyalty. In days of old, the wolf was both feared and respected as a creature possessing intense ferocity, complex communication skills and a highly stable and structured family life. 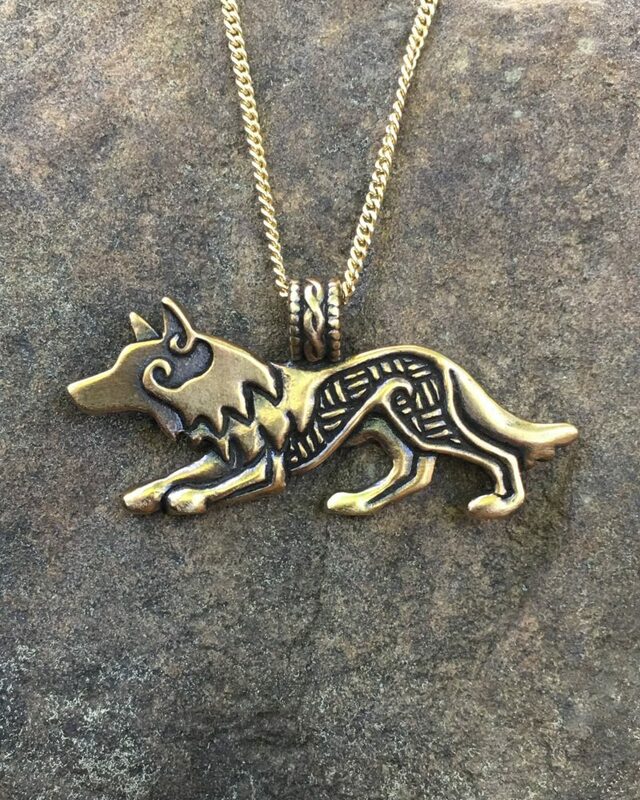 With our Wolf Pendant you may find yourself howling at the moon! Available in bronze and sterling silver, it is 2” by 1 ¼” (50 x 31 mm) and comes with an 18” gold or silver- tone chain. Despite its ferocious and terrifying reputation as a murderous creature, the wolf is actually a very intelligent and social animal, honorable and loyal to its pack. They are skilled cooperative hunters, cunning problem-solvers, and fearless warriors in battle.